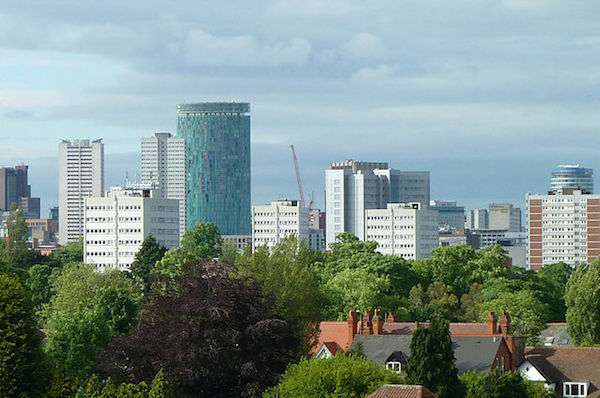 Ofsted has praised the “dogged determination” of social workers and leaders in Birmingham, where children’s services, transferred to a trust in 2018, were judged ‘requires improvement’ after being ‘inadequate’ for more than a decade. In a report published today, inspectors said caseloads and reliance on agency workers had both reduced and that staff were now “proud” and “enthusiastic” to be working for Birmingham Children’s Trust. Inspectors noted a series of areas in which improvements were ongoing. These included around the trust’s front door, engagement with other agencies including Cafcass, the judiciary and the police, and quality assurance. But they warned the “effectiveness and pace” of partnership working still needed to get much better – and that many facets of the trust’s services remained works in progress. Within child protection services, Ofsted found section 47 enquiries were, with a few exceptions, thorough and with appropriate multi-agency input. “Child protection and child in need plans are consistently in place and contain appropriate actions that are used to progress work that improves experiences and progress for children,” inspectors said. The trust’s assessment and short-term intervention (ASTI) service, meanwhile, was judged to be effective and showing evidence of oversight, with cases being stepped up and down from family support in a “well-managed” fashion. Edge-of-care services were praised by inspectors as “impressive” and delivering “successful, personalised” interventions. enter care subsequently,” Ofsted said. The report also identified many areas of inconsistency though, starting at early intervention stage, where the trust was found to have “yet to make any significant impact on ensuring that partners better understand the purpose of good-quality assessments”. Ofsted also noted instances of decisions being taken without sufficient information and meetings and visits being conducted without partners being present, limiting their effectiveness. Some plans were found to be insufficiently clear – a point also highlighted in a recent monitoring visit – while children remained too long on others. The mixed picture continued within the trust’s services for children in care and care leavers, where most children were found to enjoy “timely support and frequent visits from social workers who know them well”. Despite that positive top line, inspectors noted a history of “missed opportunities” for intervention in a minority of children’s cases – which in some instances were still suffering from delays. There was not yet a clear enough focus on securing permanence for children outside adoption, with practice lacking “pace and maturity”, Ofsted added. Uneven legal advice available to social workers and managers had also hampered decision-making, the inspection found. But the regulator noted strong direct work by social workers, who visited children regularly – even when placed out-of-borough. Children were also seen to be actively encouraged to participate in reviews, which, along with care plans, were said to be improving. Andrew Christie, the chair of Birmingham Children’s Trust, said the report showed that “necessary progress” was being made but acknowledged there was still much work to do. “We now have a stable workforce, with low rates of agency social workers, lower turnover, more social workers joining us and fewer leaving, and as the inspection notes our staff know their children well and go the extra mile,” he said. Kate Booth, Birmingham council’s cabinet member for children’s wellbeing, said the authority and trust would now “build on this improved position”. Children and families minister Nadhim Zahawi said the Ofsted inspection marked a “significant milestone”. “This government will not hesitate to intervene where children are being let down, but today’s report is down to strong leadership and the hard work of staff at the trust and council,” Zahawi said. A letter published today, meanwhile, noted that a recent monitoring visit – the fourth, since an ‘inadequate’ inspection in 2017 – had found “considerable improvements” in social work practice at Tower Hamlets council. The visit to the London borough, which focused on planning for children in care, found “effective action” by leaders and managers since inspectors’ last call in August had reaped rewards, but that more consistency was still needed. “Permanence planning for those children who are unable to live safely with their birth parents is being progressed more quickly,” Ofsted said, adding that arrangements to track children’s progress were now substantially better. “Children who leave care in Tower Hamlets benefit from advice and support from a stable and highly committed group of personal advisers, social workers and managers, who know them well,” inspectors added. Plans to reconfigure the care leavers’ service needed to move more quickly – but senior managers were aware of this, the report said. Are these the priorities for children’s social care in 2019?